Pyrolysis plant works on the principle of the chemical reaction that has the molecular review of large-sized molecules into smaller molecules at elevated temperatures and even without oxygen. The task necessitates the simultaneous change of both physical condition and chemical composition in the molecules, which is irreversible. The "Tires recycled process to fuel pyrolysis plant" also work on the aforementioned principle. 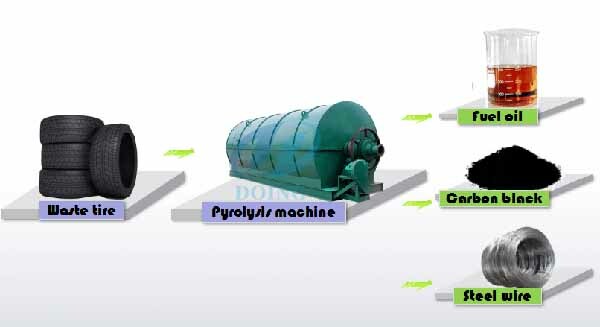 These pyrolysis plants can effectively convert waste tire into fuels, like Oil, Carbon Black, and Hydrocarbon Gas etc. Here, the raw material is either waste tire or waste plastic. Then, the recycleables are heated from the reactor to be able to generate fuels, oil, and gas. It is a renewable & environmental equipment that efficiently handles the waste. Across everyone, countless car tires are discarded annually. Pyrolysis of these scrap or waste tire is usually an incredibly attractive alternative rather than disposal in vacant landfills. Plus, the device also allows the high energy content of the waste tire being recovered as useful fuels. Hence, some great benefits of using . 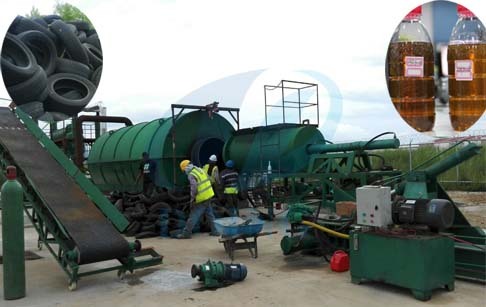 1.Tires recycled process to fuel pyrolysis plant available for sale, stick to experience an excellent, eco-friendly & cost-effective solution for tyre recycling. 2.On an average, the entire pyrolysis process may lead to a yield of around 38-56% oil, 14-56% charcoal, and 10-30% gas. The oil produced is mainly made up of diesel, kerosene, benzene, fuel oil & heavy fuel oil. Hence, the produced oil may be further refined and useful for operating any vehicle. 3.The plant pollution has truly get to be the most problem nowadays. 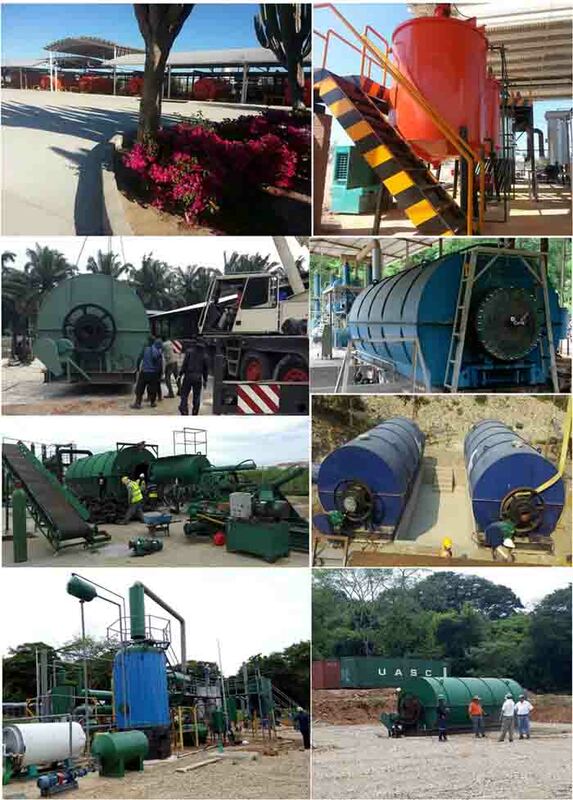 Obviously, Waste Tyre Pyrolysis Plants give you a meaningful strategy to it while promoting an eco-friendly solution by reduction of the hazards of land pollution due to the waste tire. 4.By converting the waste into energy, pyrolysis equipment offers an alternative energy source too. If you wanna to get more details about Tires recycled process to fuel pyrolysis plant you can send E-mail to market@doinggroup.com. You can consult our professional engineer and specialized sales team with leave a message in below form.We will contact with you ASAP.You also can visit our factory in Henan,China.Get Detailed address.